This one was comprised of about 87 overlapping photographs. Eli took his new tripod, on a bitter cold day, and set it up on the “top tier” of cleared ground, capturing about 270 degrees of the scene. 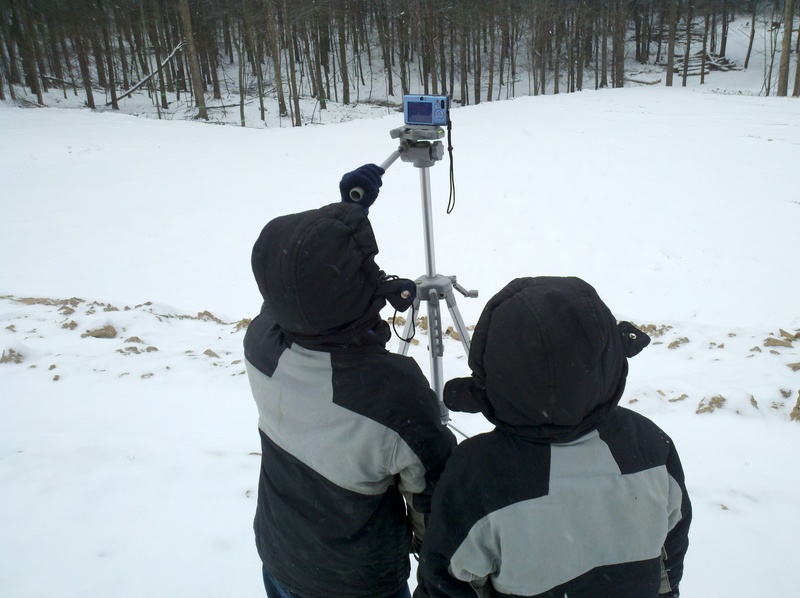 Again, we used Hugin to stitch it together. And lastly, here is the recorded “activity” in the new Home School software. 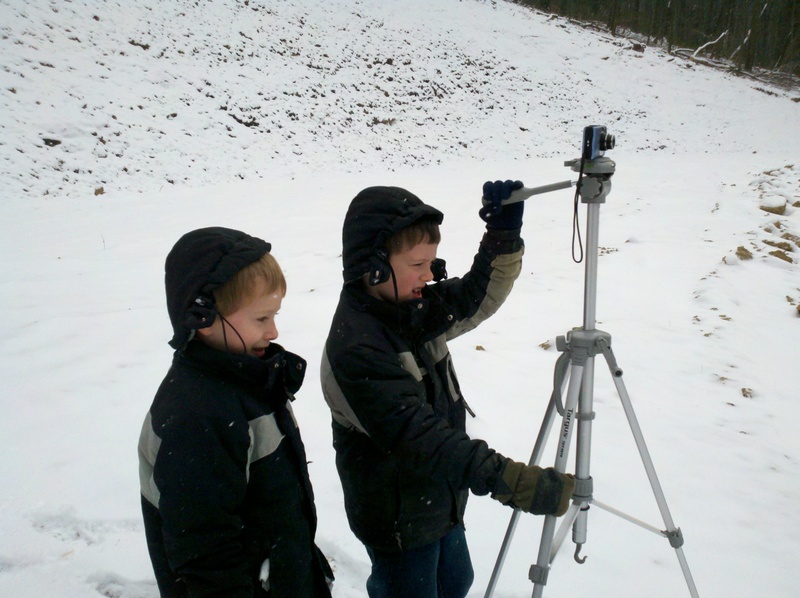 This entry was posted in Fun, Interesting, Life, Nature, Photography, Software, Technique and tagged Kids, Mountains, Nature, Outdoors, Panoramic, Panoramic Photography, Photography, Snow, Woods. Bookmark the permalink. 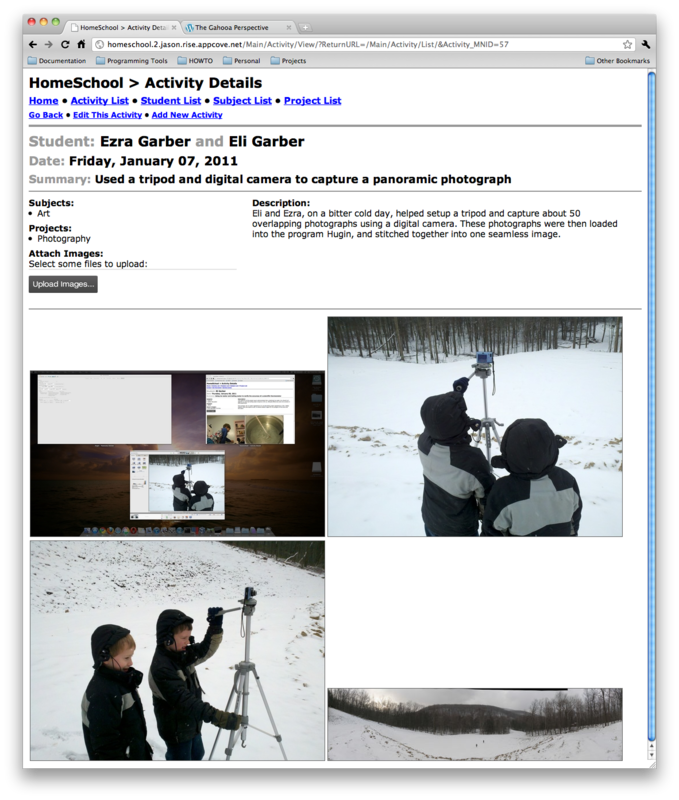 ← Home School Software now supports Images!